The Babylonian Talmud, the guide to Jewish life and practice. The Torah and the Talmud teach us fairness. Be kind to the visitor, the stranger in your midst. Have compassion upon the fatherless, the widow, the orphan. In Israel we try to live by these ancient guidelines. Guidelines of fairness and social justice that we have given to the world. 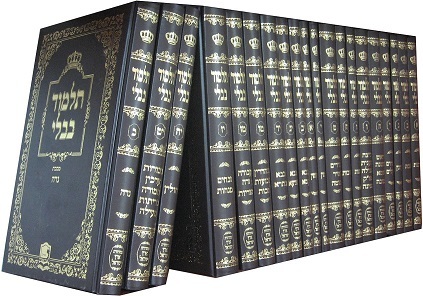 The Talmud, for those that do not know, is a huge compilation. Largely in Aramaic and ancient Hebrew it covers 500 years of discussions on Jewish law and custom. (By the common calendar years 0 - 500). It comes in 36 volumes, over 6,200 pages. Every conceivable concept is discussed, including of course Business. The Talmud recognizes that we all must work for a living, as it is written in the first book of Moses, Bereshith. We need to work, we need to earn a living but we must not do it by cheating or depriving others. Just last night I had a discussion with my dear friend and fellow Krav Maga instructor, Sharir. He said, "As people who believe in God how can we be concerned with competition? Each one of us has his unique gifts and each one will earn what is meant for him. One cannot touch that which belongs to another." Words of faith and wisdom. We believe in fairness. The Talmud discusses business practices and the fair amount to charge for goods and services. It discusses profit rates, business loans and contracts. Fairness is always the guiding principle. This is the business ethic that I employ in IKI Krav Maga. No one will ever be cheated. All will be treated with fairness and understanding. This is the way of our lives. During Tour and Train I only bring our students to places where the prices are fair. 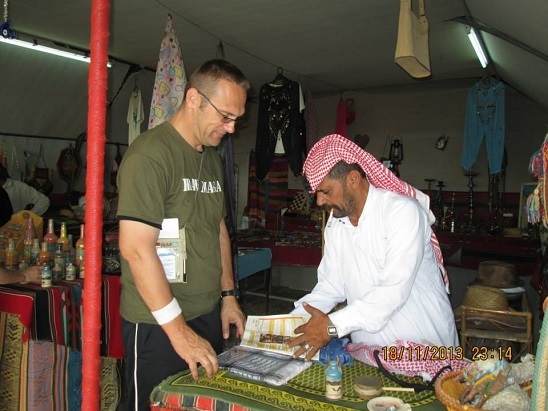 Here Srdjan from Croatia buys from one of our local neighbors. The prices are fair. IKI Prices are fair because I believe everyone should be able to learn Krav Maga. I do not like to advertise this but discounts are made for those in financial need. Prices are adjusted for countries experiencing economic hardship. Many of you already know this because so many of you have been beneficiaries of our generous policies. Sadly these policies are not universal. Recently in the USA I experienced great pain, such as I had never experienced before. In the back of my mind I thought it might be a kidney stone as I had heard that it causes great pain. A person I was with insisted on taking me to the emergency room, the ER. I was very reluctant. But finally I consented as there was a possibility that it could be serious. I had no idea what the cost would be. The guy who "registered" me calmed me by saying, "it does not matter, we treat everyone here, even people who do not have insurance, even the homeless." Turns out it was a kidney stone and I was told to take some pain killers, (which do not help actually) and ...drink water. Wow, that was it. When I called later on the phone for some advice they refused to speak to me. Gradually the bills came in. My Israeli insurance company said my policy did not cover this particular incident. Nothing was covered. At no point did anyone bother explaining to me the potential costs. I do not feel this falls under the Talmuds definition of fair and honest. I believe it falls under the category of taking advantage of someone in pain, not fully able to understand what is going on. I will never treat people this way. We all deserve better. We will continue our practice of fairness to all. We will take your circumstances into account. Be honest with us and we will be fair to you. This is our promise. It is written in the Talmud and thus we are bound to it.